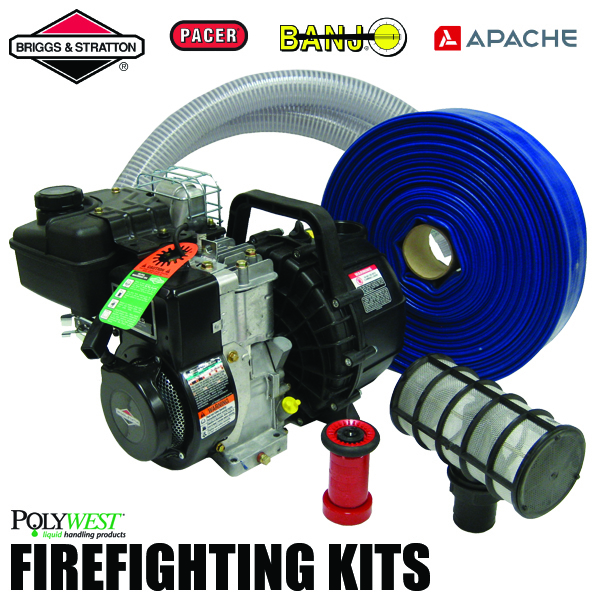 Fire Fighting Kits – Polywest Ltd.
Do you want the peace of mind knowing your home, property or business will be safe in case of fire? The right fire fighting kits are the key to preventing possible disaster. When protecting your people and your property from fire, it’s essential to have reliable apparatus to keep you, your property and those around you safe. Utilizing the reliable Econo AG pump, our FIRE FIGHTING KIT includes everything you’ll need to contain and/or extinguish field fires. It also works great as a watering system for trees and gardens when fire containment is not the priority. For real peace of mind, buy one of our Fire Fighting kits today!